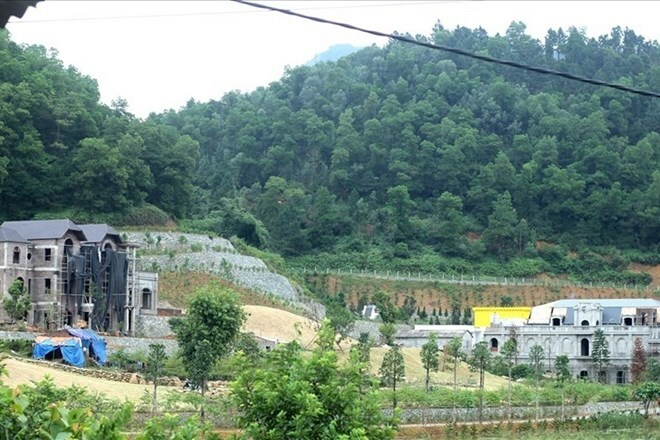 Hanoi (VNS/VNA) - The Hanoi Inspectorate on March 25 confirmed it would continue investigating violations related to forest land use and management in the city’s Soc Son district after releasing its initial conclusions on the violations last week. Since 2006, the Government Inspectorate has issued conclusions on land use violations in Soc Son District and recommended punishments, but district authorities have been slow to follow through with enforcement. On March 13, the Hanoi Inspectorate recommended the municipal People’s Committee ask the Soc Son District People’s Committee to implement the Government Inspectorate’s conclusions. The Hanoi Inspectorate said it would give relevant documents on the land transfer that led to illegal construction in 2008 to the police for further investigation. The Hanoi Inspectorate’s comprehensive inspection of land management and use in the district was ordered by Chairman of the municipal People’s Committee Nguyen Duc Chung.